Rik is a passionate wood stove owner and loves collecting and preparing his own fuel from the woodland behind his house. Wood burning is free, or if you pay for it, much cheaper and more cost-effective than other fuels. 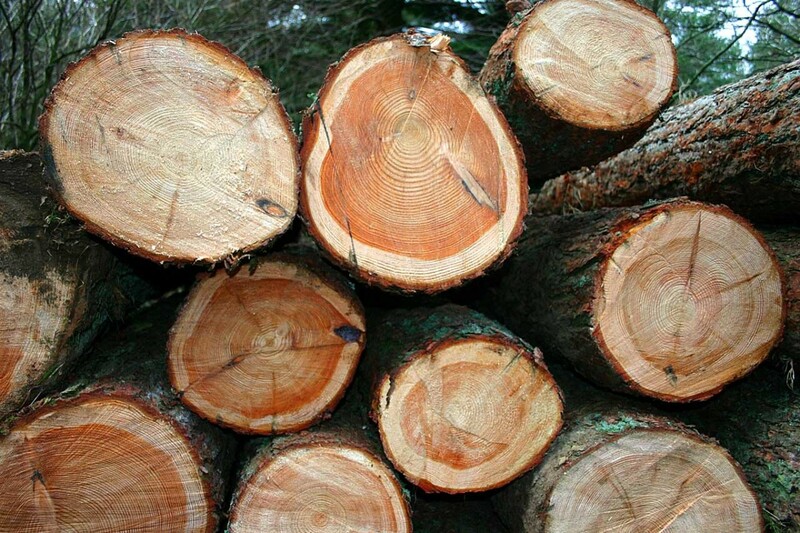 Wood is a renewable energy resource. Burning wood doesn’t contribute to global warming. Gives independence from big-energy suppliers and the impact of industrial and labor disputes. Collecting and cutting timber is good exercise. Wood burning is romantic. Why not make love in front of a woodburning stove? But if you choose to go naked in front of an open fire then beware of stray sparks or flying coals! Space heating saves money. Heat the space you are in and leave the rest of the house relatively cool. You can always use your central heating to provide background heat elsewhere. Wood burning makes a great energy backup in troubled times. 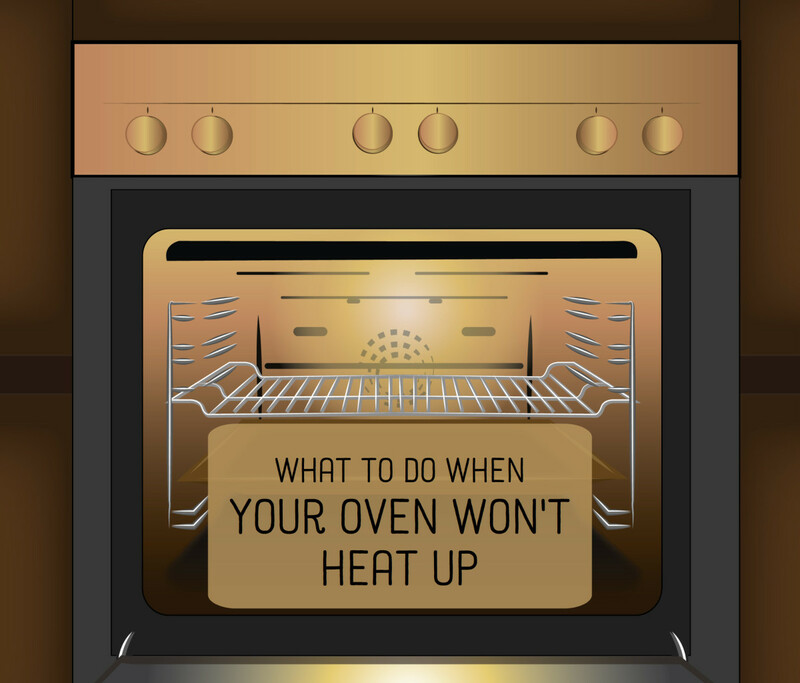 If your electricity and gas supplies are cut then you still have a way of heating your home and even heating a kettle or making toast. There is nothing like a real fire in the middle of winter. Nothing can beat real flames and losing yourself staring into the blazing heart of a wood fire. Why Does Wood-Burning not Contribute to Global Warming? If you go back further to when the tree was a seed, the resulting sapling gradually captured CO2 from the atmosphere as it grew into a tree. In other words, when a tree grows, CO2 is drawn from the atmosphere and when it rots or is burned then the same amount of CO2 is released. This carbon cycle is repeated as new trees grow and then die. The important thing to remember is that if you grow trees to make fuel, then new trees should be planted as you burn the older ones so that the whole cycle continues and the net amount of carbon dioxide in the atmosphere remains fixed. If you grow more trees than you burn then this reduces the amount of carbon dioxide in the atmosphere. This is why the energy from burning wood is known as renewable energy. Unfortunately, planting lots of trees is not a complete solution to global warming. On its own, planting new trees won’t capture enough carbon to solve the whole global warming problem. So Where Does the Heat Energy Come From in Wood? It comes from sunlight. Light from the sun enables photosynthesis to take place. This process absorbs carbon dioxide from the atmosphere and the carbon becomes part of the tree (wood). The sun’s energy is trapped in the wood until it is burnt when the energy is released. Why Not Burn Wood on an Open Fire? Open fires are very inefficient and most of the heat goes up the chimney. 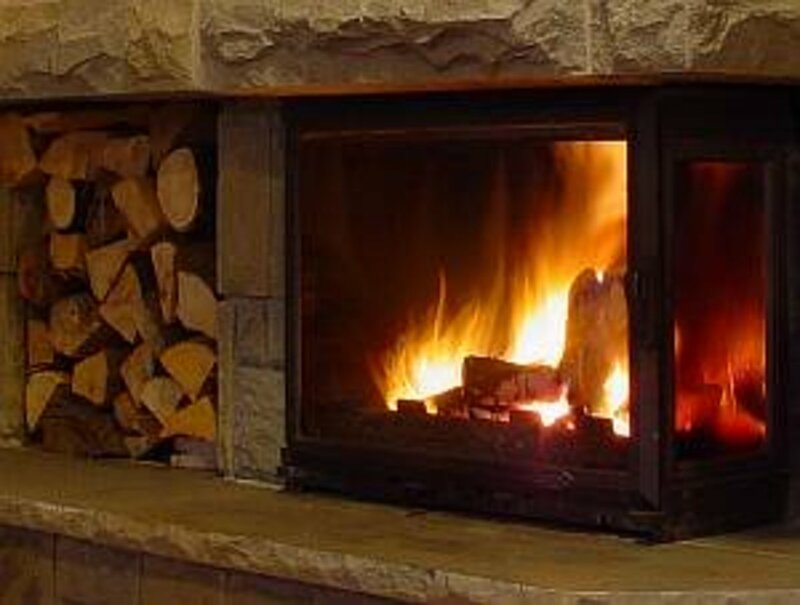 Open fires are typically only around 20% efficient. 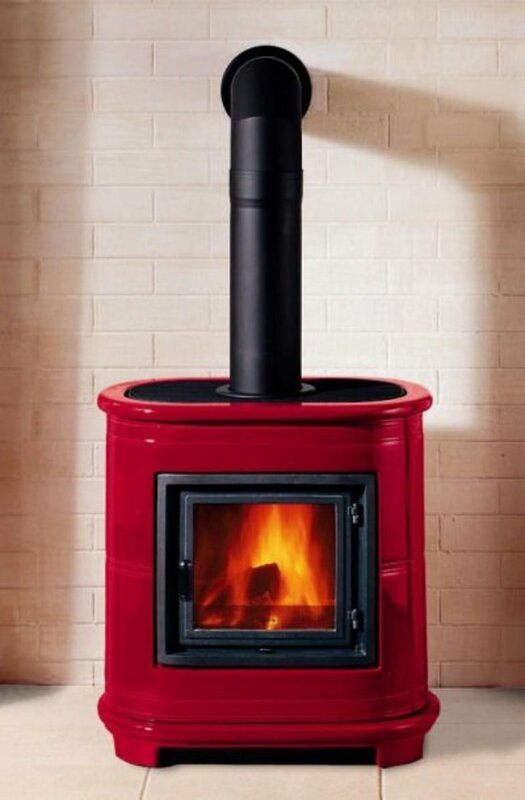 A woodburning stove recirculates combustion products and is designed to burn at a much higher temperature. This means gases present in the smoke are fully burned. This results in a thermal efficiency of around 80%. In other words you can get around 4 times as much heat from a log burnt on a modern wood stove than from an open fire. Wood stoves don’t need to be relit like an open fire. You can close them up when you don’t need them and as soon as you open the air vents and let the oxygen in the fire comes to life again. Wood burning stoves are less smoky than an ordinary open fire and produce less ash. 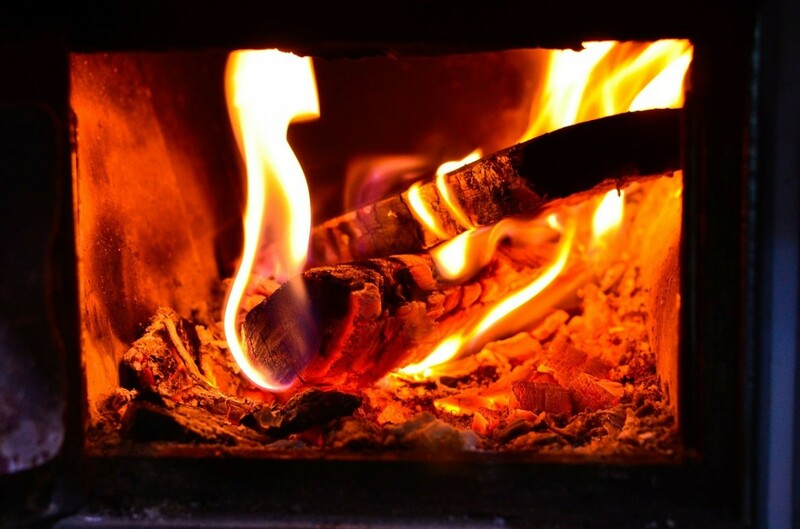 Wood burners are safer because the fire is enclosed so you don't get the danger of stray sparks or hot coals on the carpet. Finally, Why Not Switch to Wood Heating? Treat yourself to a wood-burning stove. Then, get yourself a chain saw and start cutting wood. Don't rely on natural gas, scarce oil supplies or electricity but guarantee you and your loved ones a cosy home with a newly installed wood burner. And if you have cats and dogs, they'll love you and your fire forever! 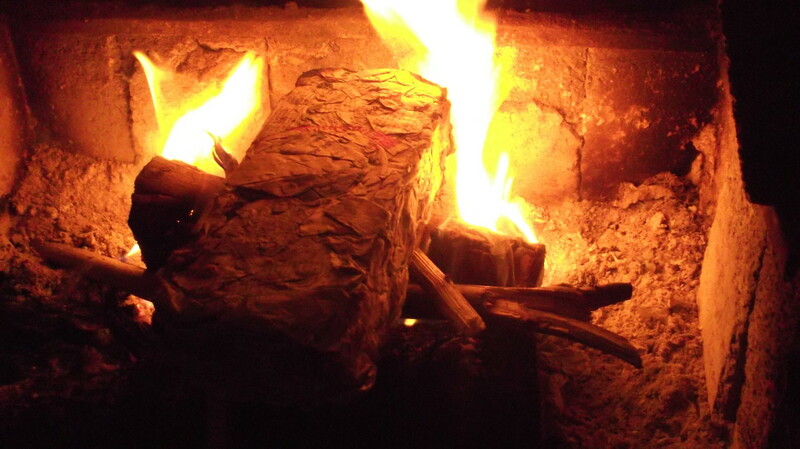 The best reason to burn wood is that it is renewable source of energy. Why expend precious attention, money, time, and lives on using wood stoves any longer? We need to be turning our hearts and brains in the direction of geothermal, solar and wind energy sources. We can make these emission-free energies easy to use and affordable. great info...wish there were more people burning wood! there is a new heater on the market...www.dragonheaters.com how do you think they compare to the efficiency of a typical cast iron stove/heater? Hi Rik. Because I live off the grid (solar powered), my wood burner stove is essential for winter heating. Collecting and burning fallen debris from trees, dead branches etc from the ground during the winter helps prevent wild fires in the summer. Charles - Yes the wood is there on the ground waiting to be used. 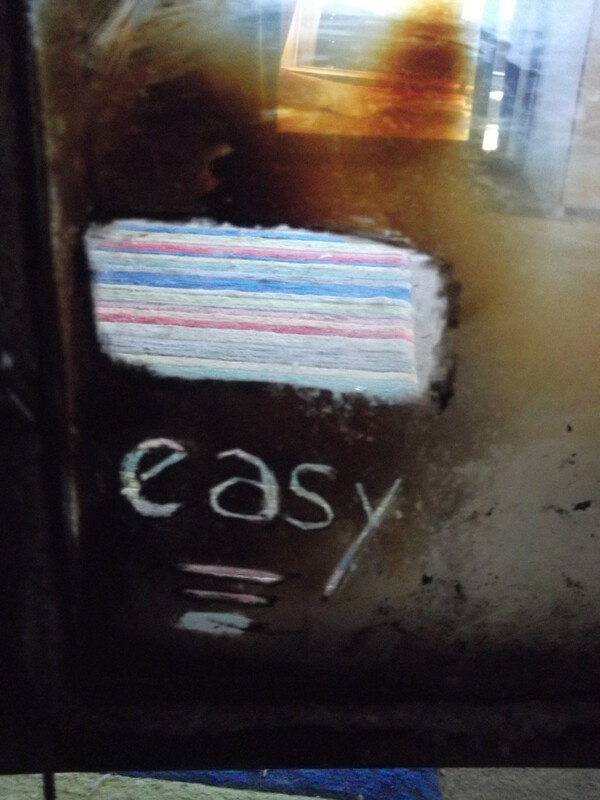 Thanks for this Energy Guild - For me it isn't so much just about saving money as the joy of having a real wood fire! I have burned wood for heat my whole life. Great hub. Try corn, the soves are virtually maintenance free, you can burn recycled wood pellets and your saving the environment in many ways, and saving trees!!! Hi Rik, montana's comment about metal Saw horses, i designed a metal saw horse and won 1st prize for safety here in Wales..
We got loads of trees and yes more people should install a wood burning stove.. check out my website and let your people know about it . www.logmasterclamp.com.. email charleseb100@btinternet.com.. safety first. thanks. keep warm. As some one said to me today. We (West Europeans) are living in the stone age using gas/electric. The future is renewables or there isn't any future. Keep the Home Fires Burning! Montana - thanks for your comments and advice - I'll look into this an amend the Hub. I've touched metal a couple of times and I can see the potential danger. Rik - Good post, good info. The only thing I'd caution about is using that steel sawhorse you have pictured. I've been running chainsaws for more than 40 years and the one thing you don't want them around is metal. It is far too easy to zip through a log and hit the sawhorse with the chain as anyone who has cut up a cord of wood knows. One hit on that horizontal metal bar and I guarantee you that the chain will be toast, if not worse. 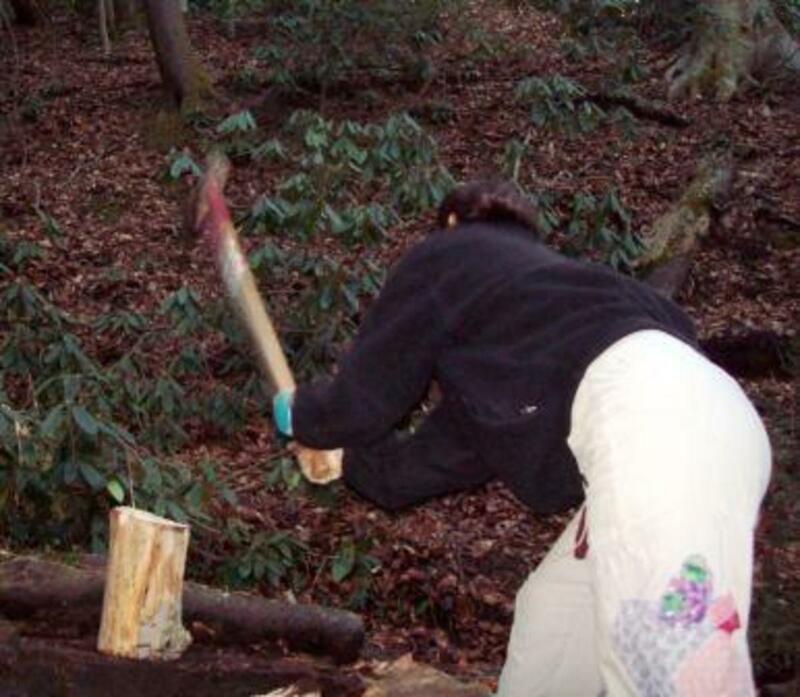 I would suggest building a wooden sawhorse, keeping the nails or screws well out of the way of anywhere the chainsaw could possibly hit, and getting right after those logs safely and efficiently. Amanda - we are almost neighbours! I live on the South Coast and the energy bill rises are frightening. We just switched gas and electric tariffs but then within weeks the new tariff went up as well. I'm convinced you are doing the right thing with the wood burning stove. We have an open fire but are having a wood burner installed next month. As well as the price issue we are now dependant for gas supplies from overseas (particularly Russia). We're about to invest in a wood-burning stove, so this is a timely hub. I know people who work for the local energy supplier, and they are already discussing what will happen should we have a particularly bad winter here in the south of England. Extra demand could well mean planned power cuts, and a wood-burning stove would certainly help us to weather such an eventuality. Apart from anything else, it's scary just how frequently the energy suppliers see fit to increase their charges! Barranca - Good luck with the new house purchase - having your own wood supply seems a good bet. William - Yes it makes sense to get away from relying too much on central heating and as you say a flickering wood stove is much cosier than a radiator or a heating duct. Interesting hub, Rik. My daughter has a wood burning stove in Topsham, Maine, and it saves her a lot of oil. It keeps the living room and kitchen warm enough without having to use oil to heat the whole house. It's cozy, too. Very informative hub. I am thinking about buying a house that has a large wood lot. You have helped me to envision how I might live intelligently during the winter. Jerilee - good point about the ash. I put mine in the compost bin - It improves the final product and balances out all the green stuff. Jim - Yes we still have quite a few trees left and our woodland is very varied in terms of varieties. My house backs onto a copse of trees which is part of a golf course. There is always plenty of wood on the ground ready to 'harvest'! Beyond helping address an individuals personal finance and heating needs, there is the link to global warming and using a renewable rather than non-renewable fuel source (coal,petroleum) as you point out. Coupled with practices of selective harvest and re-generation of our forests, this is a resource that is available world wide. I do have one question though, do you still have trees in England ;). Great hub! Would highly recommend the zero clearance kind whose chimney's are cool to the touch. Also, use the spent ashes (once completely cool) in your compost area if you have one, to mix with soil for spring gardens in small amounts. 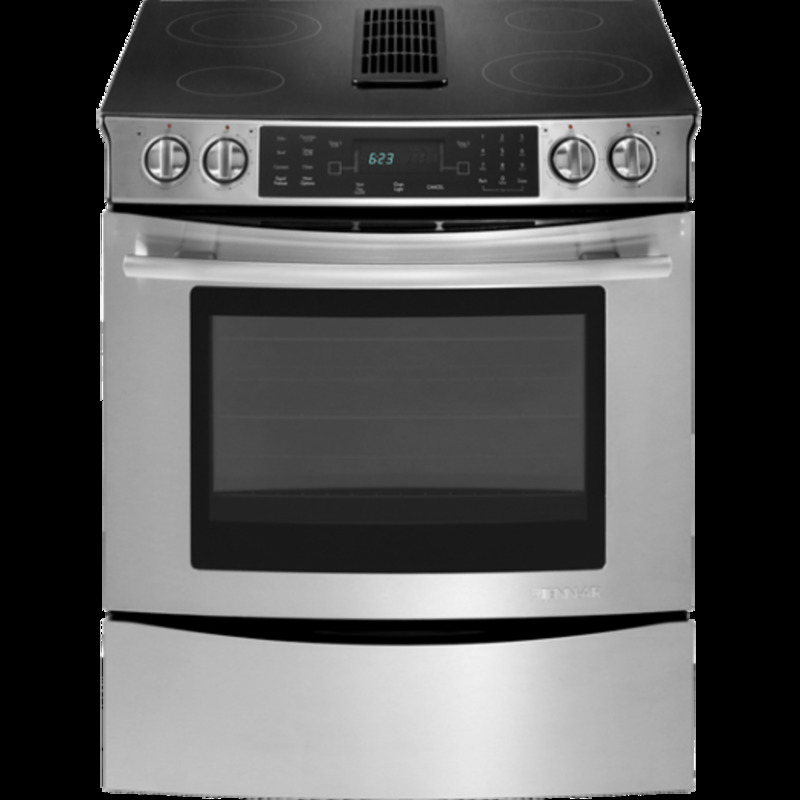 Good luck with your new stove. We are getting one installed in November so I am already gathering wood and buying a chainsaw. Woodstoves are still quite rare in the UK but I gather stoves are now in short supply because European manufacturers can't meet the demand. What a great hub! We have a stove sitting in our living room right now that we are about to install for the winter, because 1) oil has gotten so expensive we can't afford to heat our house with it anymore, and 2) it's gotten very hard to GET oil because businesses locally are already having trouble getting credit to buy it to distribute, which is really scary. Thank you for all the good info you provide here.